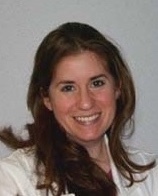 Lisa S. Troy, M.D., F.A.A.P., is a General Pediatrician at North Rockland Pediatrics. She is a member of the Rockland Pediatric Society, and a Fellow of the American Board of Pediatrics. She has a BA from Muhlenberg and an MD from St. George’s University School of Medicine.